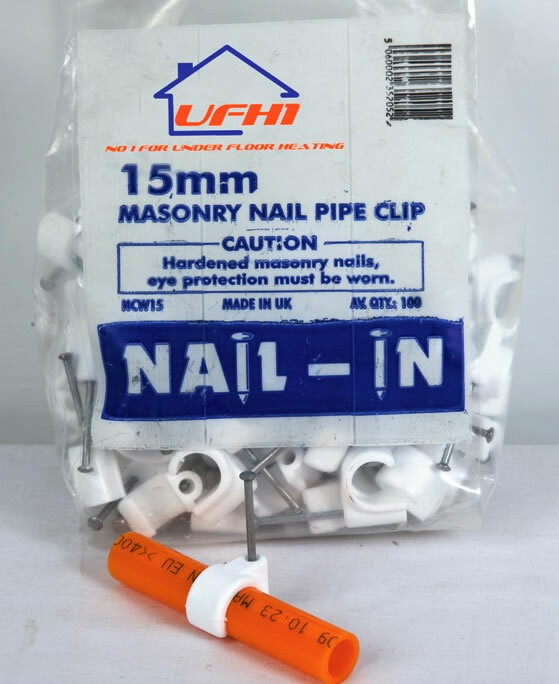 White 15mm Masonry nail clips with hardened nails. Used for fastening and fixing 16mm underfloor heating pipe to hard surfaces. We recommend pipe is fixed at minimum 400mm centres.